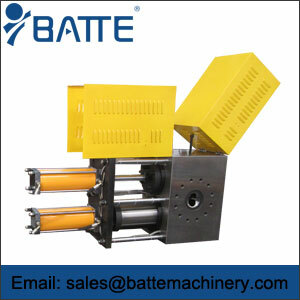 The plastic extruder screen changer application for chemical fiber, plastic film, flat film, cast film changer extruder manufacturing plastic extruder, pipe, plate and wire, fiber, cutting line, recovery etc..
1. This series of screen changer is a dual channel double screen structure. When changing the network, it will work in one network and replace it in one network. 2, the design of the material exhaust structure, replace the network without interruption of material flow, to achieve no shutdown network. 3, suitable for all polymer extrusion production requirements. 4. 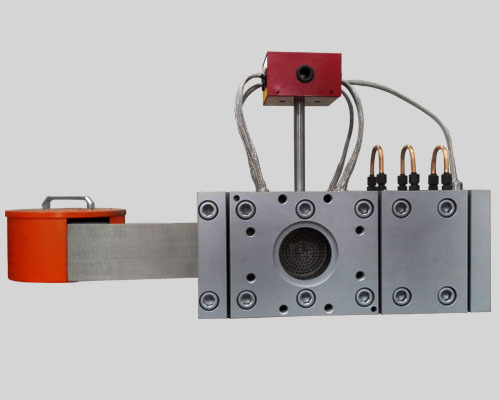 The continuous production of the screen changer changing process will not cause obvious fluctuations in extruder production. 5. 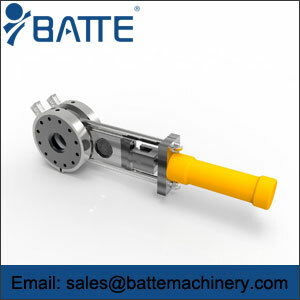 It can withstand the melt pressure of 25-30Mpa without affecting its performance. 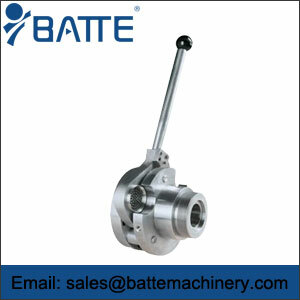 Since Batte specialized in producing high temperature melt pumps in Zhengzhou, he has accumulated rich experience in application technology of melt pumps. 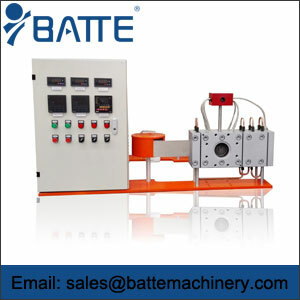 In recent years, according to the development trend of the application technology of the world melt pump, especially in the field of plastic and rubber precision extrusion, Bart (BATTE) company has carried out a lot of research on the working basis of the melt pump, the use performance, the development of the equipment structure and the control technology, and made a definite result.